Posted by lisameesakasi in Comeback, Korean (MV), KPOP, Music, News, Teen Top, Video. Posted by lisameesakasi in Comeback, JQT, Korean (MV), KPOP, Music, News, Video. Posted by lisameesakasi in Celebrities, Girls' Generation (SNSD), Korean (MV), KPOP, Music, News, OST, So Nyeo Shi Dae, Taeyeon, Video. Posted by lisameesakasi in BIG BANG, Celebrities, Debut, G-Dragon, Korean (MV), KPOP, Music, News, T.O.P, Update, Video. Tags: 'High High', BIG BANG, G-Dragon, GD&TOP, kpop, lisameesakasi, MV, T.O.P. Posted by lisameesakasi in Celebrities, JYJ, KPOP, Music, Update, Xiah Junsu. Posted by lisameesakasi in Celebrities, Debut, Korean (MV), KPOP, Music, News, S.M. The Ballad, Update, Video. Posted by lisameesakasi in Comeback, KPOP, Music, News, Park Hyo Shin, Teaser, Video. 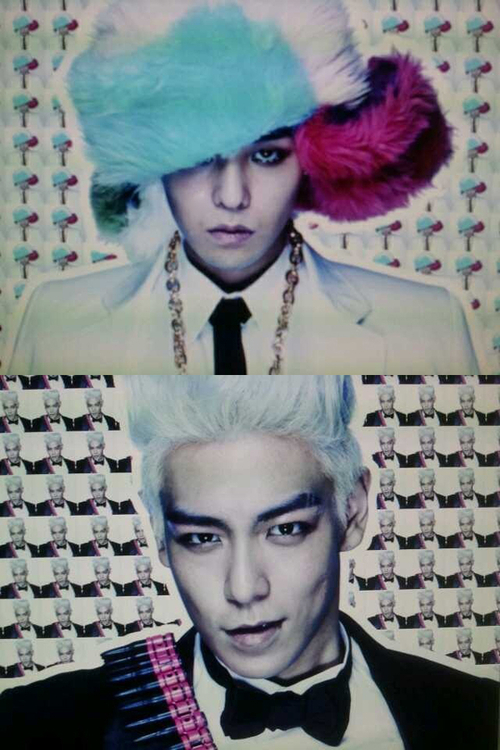 Posted by lisameesakasi in G-Dragon, Images, KPOP, me2day, Music, News, T.O.P. Tags: BIG BANG, G-Dragon, kpop, lisameesakasi, me2day, T.O.P. Posted by lisameesakasi in Celebrities, JYJ, KPOP, Music, News, Teaser, Video. It really is just lovely! JYJ are singing ‘I Can Soar’ in the background of a teaser vid that shows their fans that have stuck with them and supported them on their tough journey. It really is just sweet! Posted by lisameesakasi in 2NE1, 2NE1 TV, Celebrities, KPOP, Music, News, SE7EN, T.O.P, Teddy, Update, Video. Bow down to YG for their excellent fanservice for their international fans! I absolutely love YG! Check out more episodes on 2NE1‘s official youtube channel.